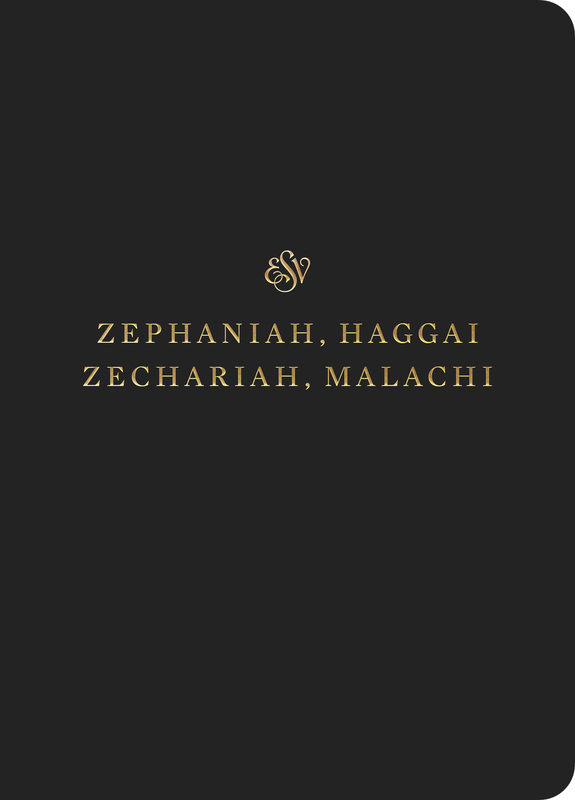 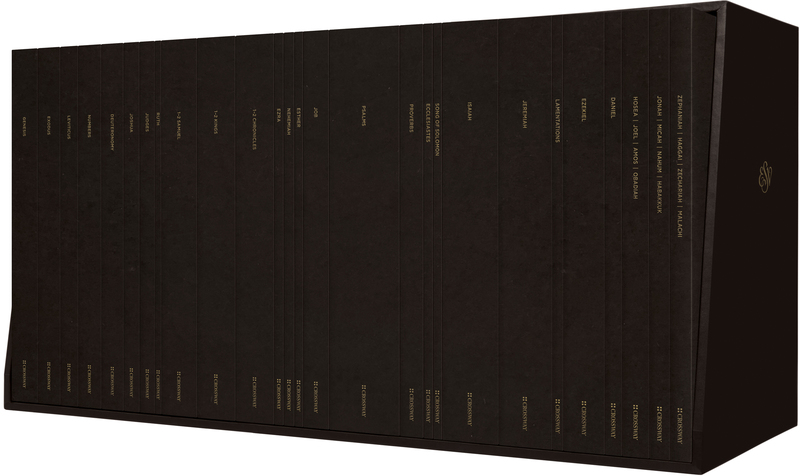 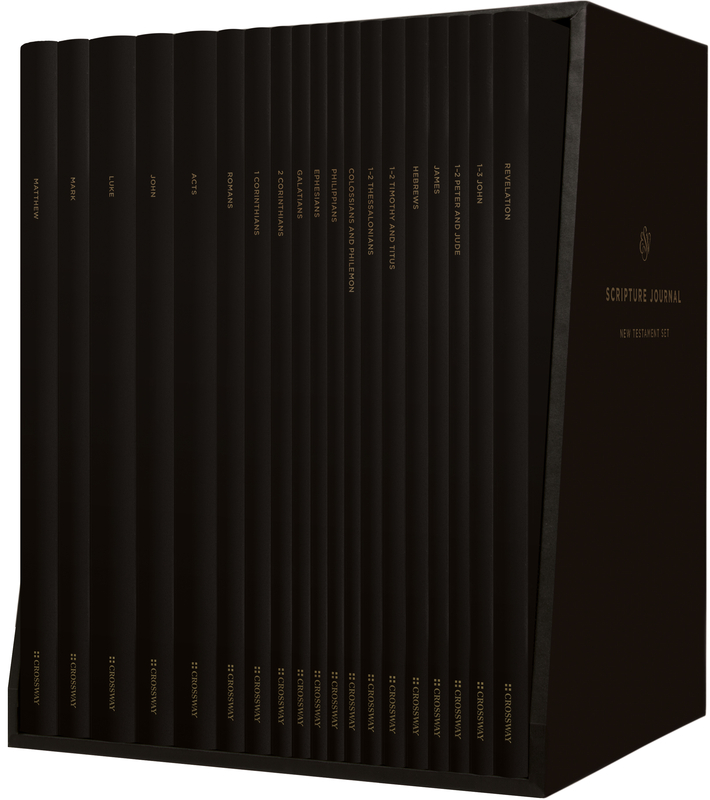 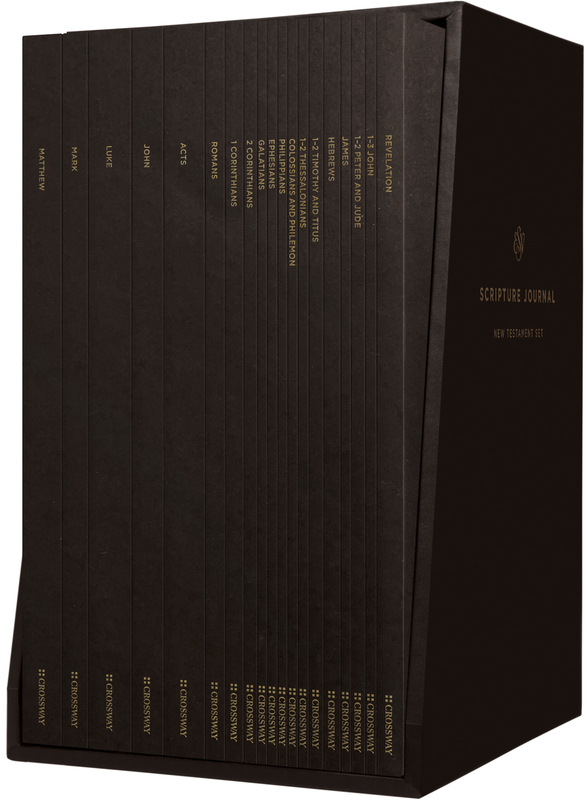 The limited edition ESV Scripture Journal: New Testament Set (Hardcover) includes nineteen durable hardcover journals containing the entirety of individual books of the New Testament with lightly lined blank pages opposite each page of Bible text. Bible readers can take extended notes or record insights and prayers directly beside corresponding passages of Scripture. These thin, portable, long-lasting notebooks are great for personal Bible reading and reflection, small-group study, or taking notes through a sermon series.